Hope fell into the Wireless industry through a temp job at General Dynamics, straight out of college and was quickly hooked into this dynamic and fast paced world. Hope figured out what she wanted to be when she grew up through roles in Proposal Management, Marketing and Sales Support, realizing that working with clients to meet their needs was her happy place. Over the last 15 years she has held a few sales roles throughout the infrastructure ecosystem, narrowing her focus to In-Building around the time that AT&T’s ASG group was launched. Hope has developed a strong grasp on strategic growth within the in-building space through her leadership roles in starting and building DAS deployment teams. 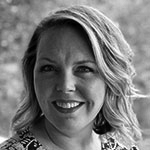 She has since transitioned to a Consultant role, with ABIS Solutions, working closely with Carriers, enterprise, and commercial operators to develop solutions to clients’ needs that may involve custom software solutions, speed to market, operational planning, strategy, marketing, scaling, increasing market share, and business development.